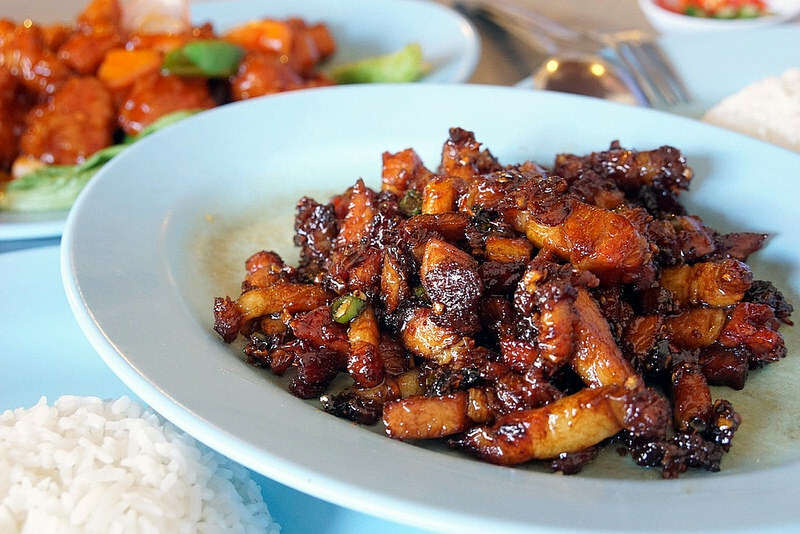 Ever Wonder Why Penang is the Best Food Destination in the World? 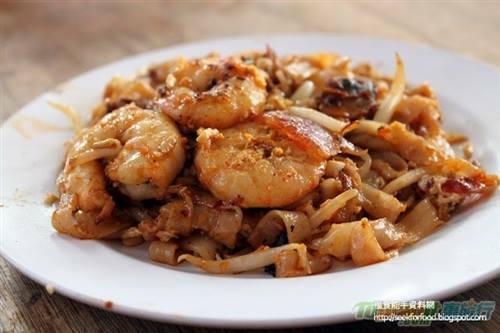 Penang is world renowned for its delicious food due to its diversity in ethnicity, culture, and religion. 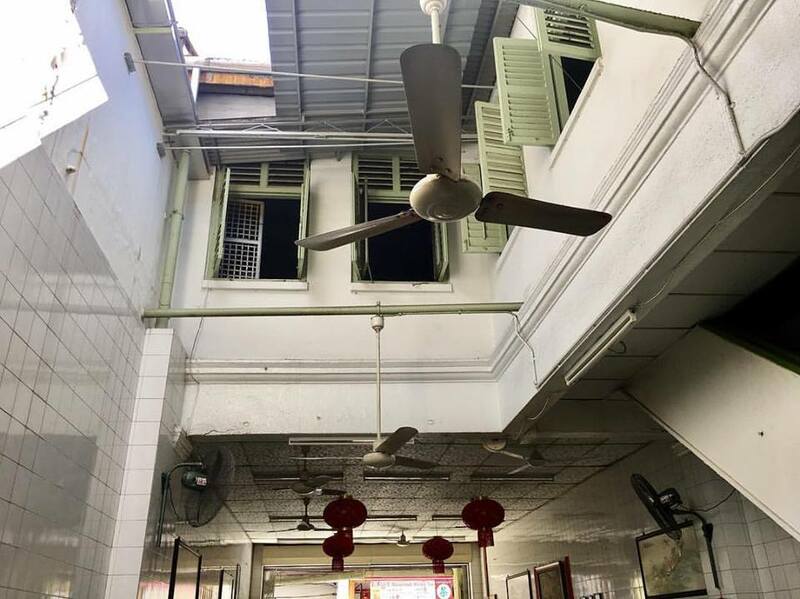 These elements showcase a variety in Penang’s street and hawker food. 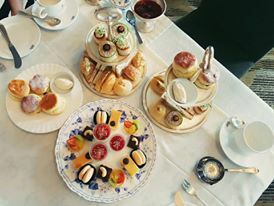 The options to choose from are endless and every food options there has a wow factor. This excellence has resulted in Penang being endorsed as the world’s best food destination by world-renowned food writer, James Oseland. 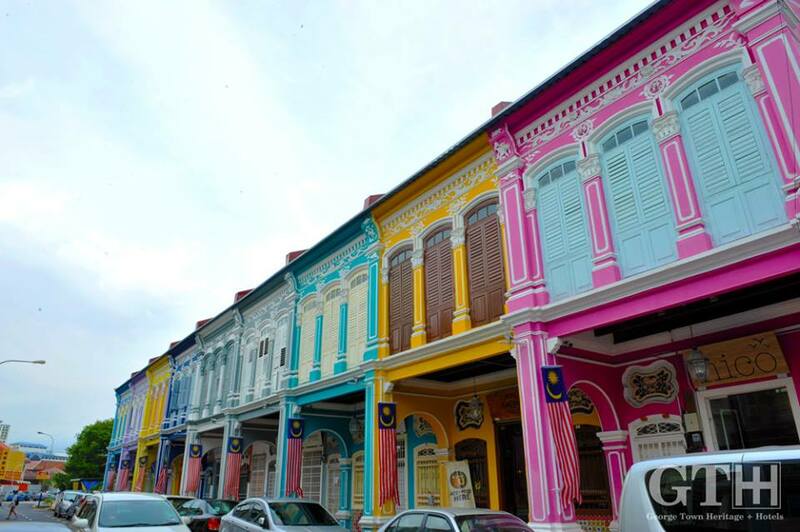 Of significant interest, Penang has attracted an abundance of foreign tourists and most notably will be Singapore tourists especially when getting to Penang is extremely easy for Singaporean. 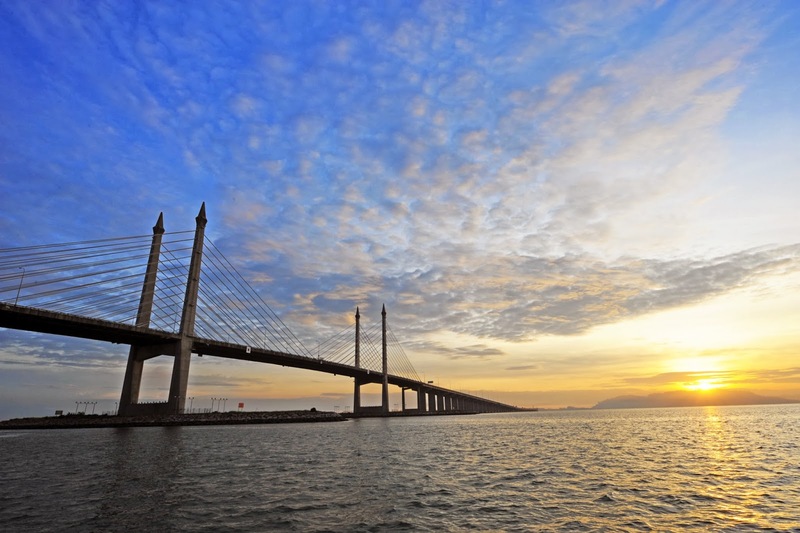 Taking a bus from Singapore to Penang though not the best option as opposed to taking a flight, it is still one of the most explored options as it is affordable and the journey could be pleasant. 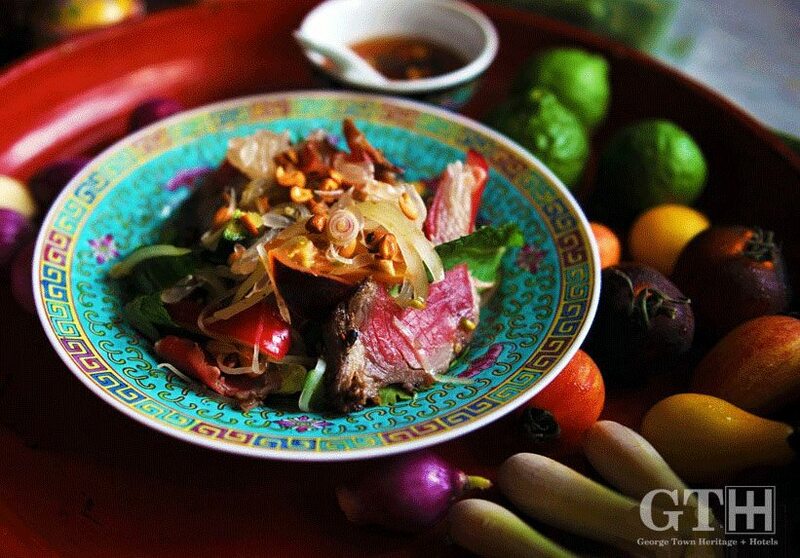 What makes the journey exceptional will be to explore like a local and eat like a local. If you are looking for Hawker Stall food, try this favorite among locals. 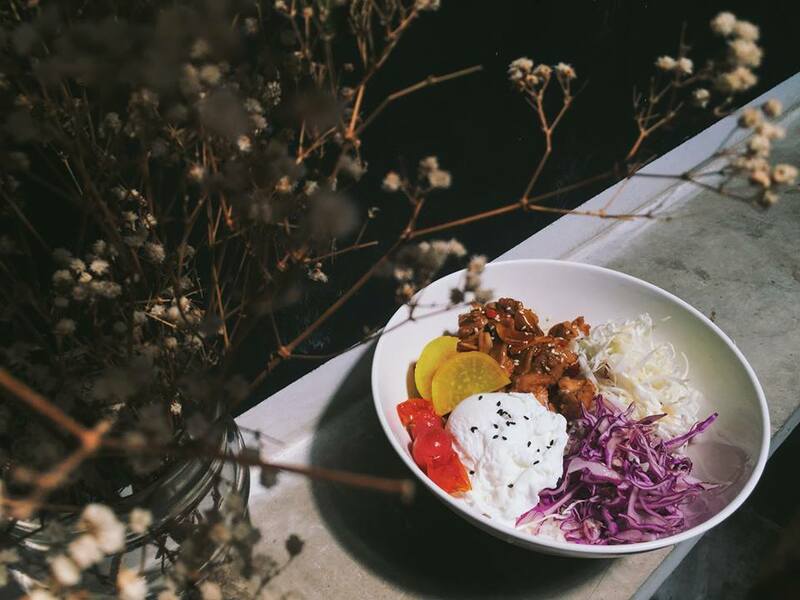 Their first must have is a wok fried dish made with bean sprouts, egg, rice cakes, and pickled vegetables. Their second delicious specialty is otak otak (fish curry). 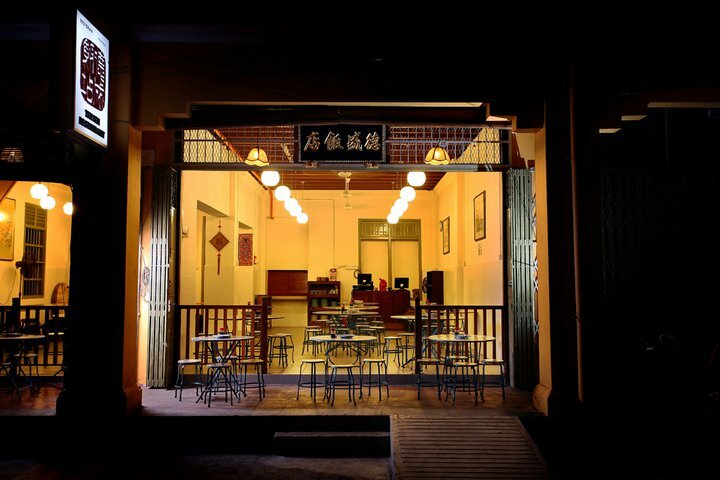 This eatery is famous for its vibrant, cafe/bakery, Kopi C, which serves homely, baked foods, good quality coffee, and light meals during the day. In the evening, the venue lights up with the elegant restaurant, BTB, the cocktail and wine bar, Vine & Single, and the live music venue, Canteen. 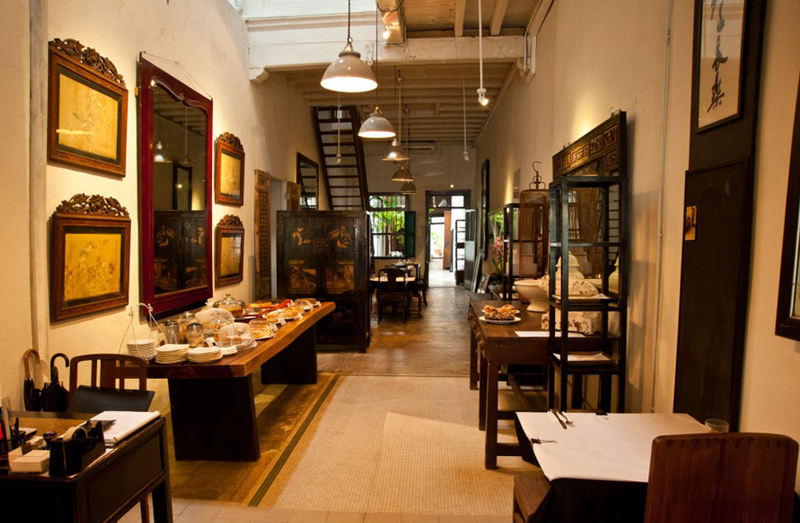 For the artsy, bohemian person and the general explorer, there is a boutique shop and art gallery upstairs for them to peruse. 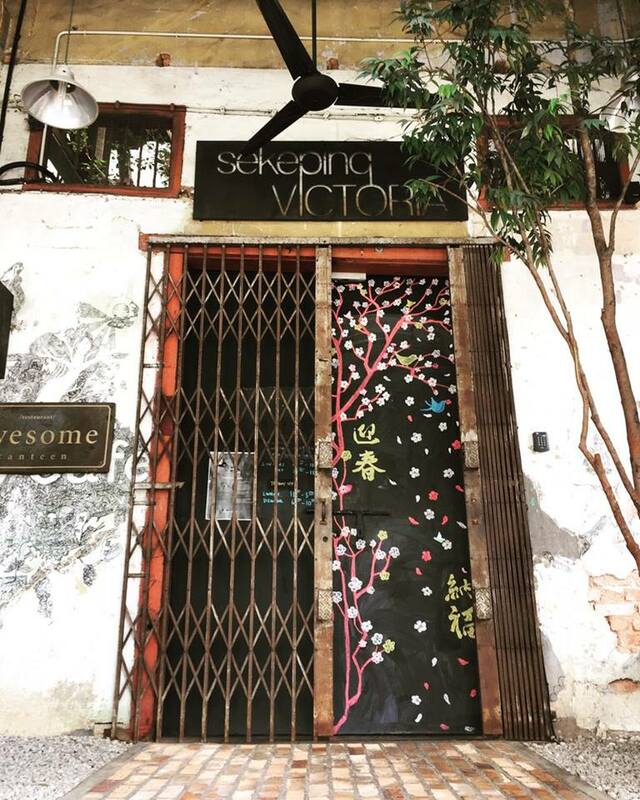 You cannot claim to have explored Penang without stepping foot in China House! This is the place to visit for a fine dining experience. Their cuisine is Peranakan style. 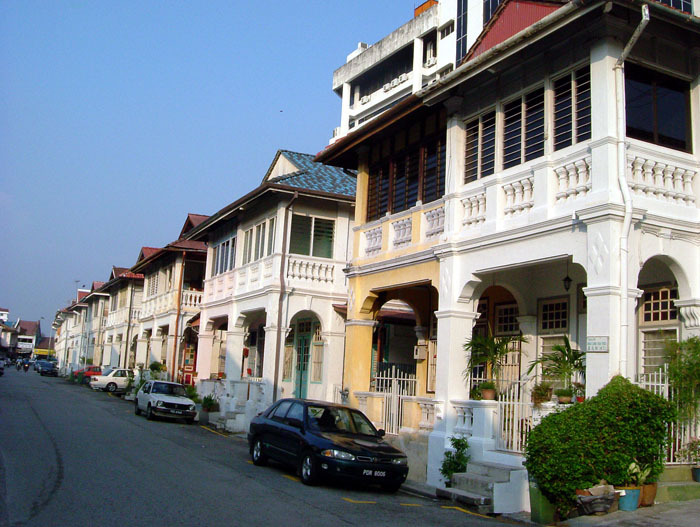 Peranakans are descendants of Chinese migrants who settled in Penang, Malacca, Singapore, and Indonesia, and intermarried with local Malaysians. 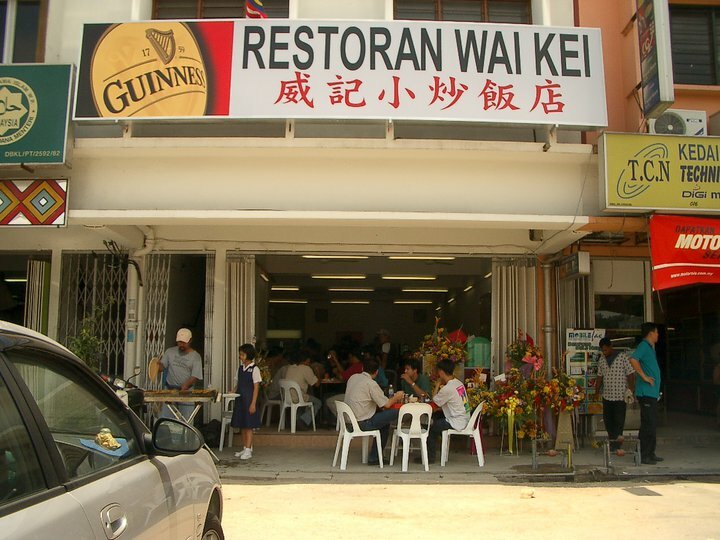 Their food is a combination of Chinese and Malay and some other influences. 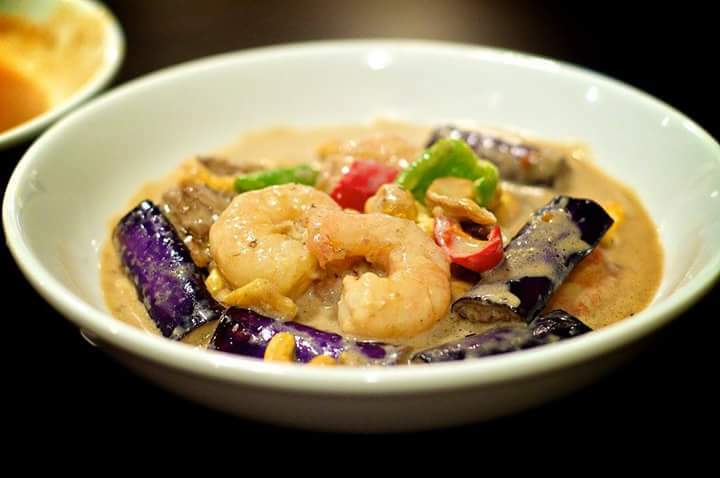 Ingredients specific to this style of cooking include coconut milk, galangal (mustard scented rhizome, similar to ginger), candlenuts, laksa leaf, pandan leaves, belachan, tamarind juice, lemongrass, torch ginger bud, jicama, fragrant kaffir lime leaf, and cancaluk. The Kebaya restaurant is decorated with antiques and live piano playing adding to the ambience. There are standard four course dinners served either at 6pm or 8pm. Another crowd favorite is Teksen. For a consistently good taste sensation, try this restaurant for their double roasted pork with chilli padi and also ask for their daily specials. This place is synonymous for people looking to enjoy their own time and space alone while reading a newspaper, or small groups of locals catching up. 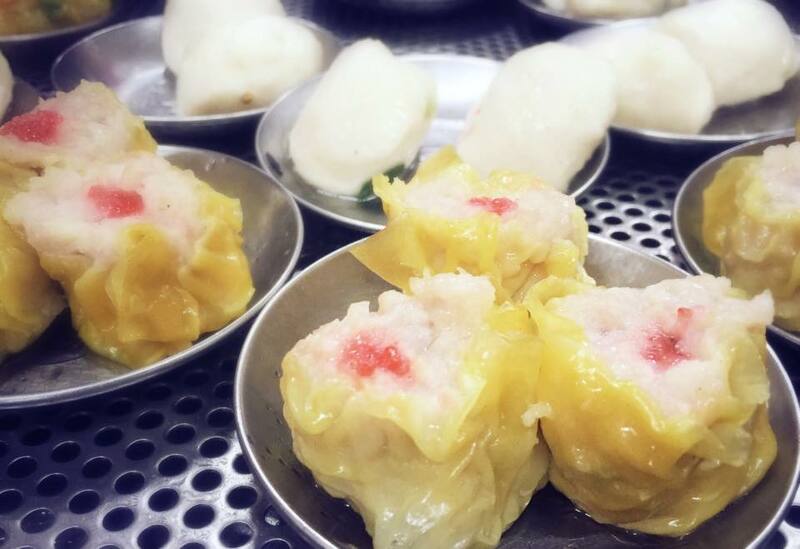 This place serves the best dim sum. 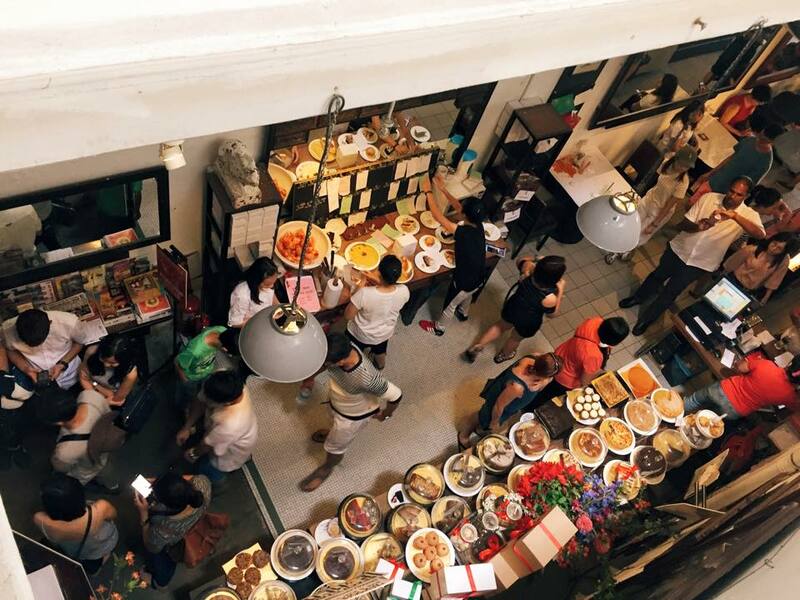 For an exciting and different breakfast, try this food bazaar. Many of the cafe’s specialize in noodles with meat fried, squid, prawns and fried egg, spicy fried noodles, and other delicious food that have earned them a huge following. 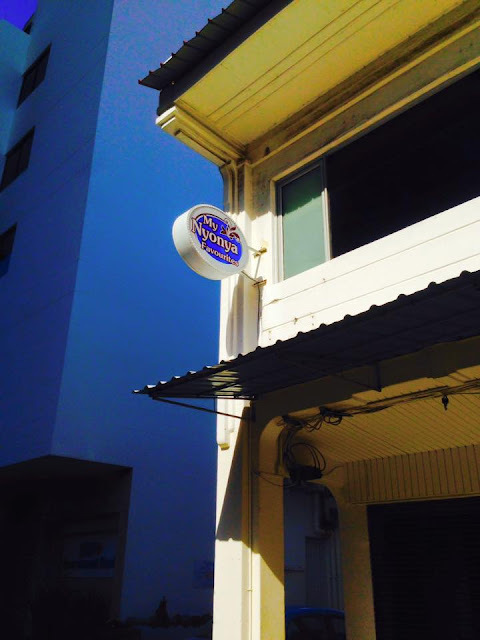 This simple restaurant is recommended for its Peranakan dishes such as pork belly made in stir-fry and eggs belanda (eggs in tamarind gravy). Extremely affordable with nice food and delightful ambience. This restaurant is located in the heart of the travelers district in George Town. 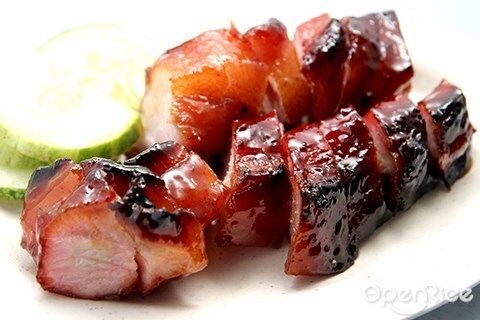 Come early to taste the best char siew (barbequed pork) and siew yoke (pork belly). If you are craving a taste of Indian food, give this place a try. It serves local fast food, has an energetic atmosphere, and serves food including tandoori chicken as well as vegetarian Indian dishes. It also has a vegetarian only outlet a few steps away. 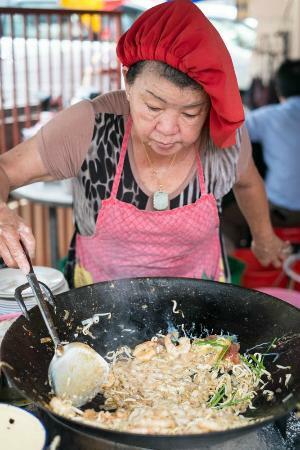 Local cook, Soon Chuan Choo in her red chef’s hat, has been making the best noodles, clams and eggs fried in chili and sauce made from black beans, for the past 47 years. Other surrounding stalls sell won ton me (wheat and egg noodle soup) and other Chinese Penang cuisine. 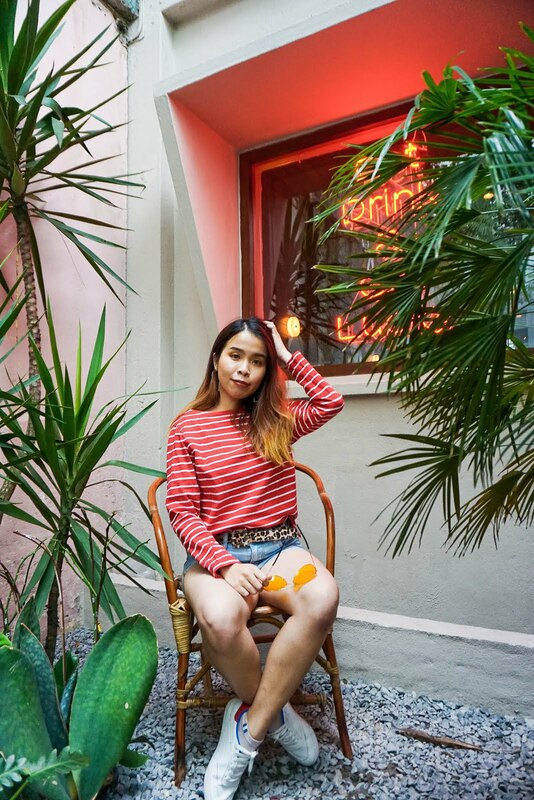 This bistro and cafe offers paleo food options but also specializes in Japanese rice bowels topped with grilled chicken, as well as peanut butter filled burgers. This is another formal, fine dining restaurant, with candle lit dinners at the E&O Hotel. Their excellent western cuisine includes sea bass with truffle sauce and roast duck. These are just some of the many exquisite food eateries that can be enjoyed. It would be a great regular trip for people living in Singapore, as the cuisine is just too scrumptious to ignore. A great idea would be to organize a trip with a group of friends and family and spend a few days in Penang to enjoy the food as food always tastes better with company. Penang is no doubt a good place with great food. Babe! I love your photos. It really look alive. At least to my eyes. You blog makes me hungry! Penang will be definitely in my list of go-to places. Ur post really makes me miss Penang a lt! Wish I can find one day visit there again, and makan all the nice Penang food! Me too! I havent yet visit Penang. This is a great list of places to eat Sharon. I am a food fanatic when I travel and I love to try local foods. I may have to wear extra loose clothing if I ever visit Penang. 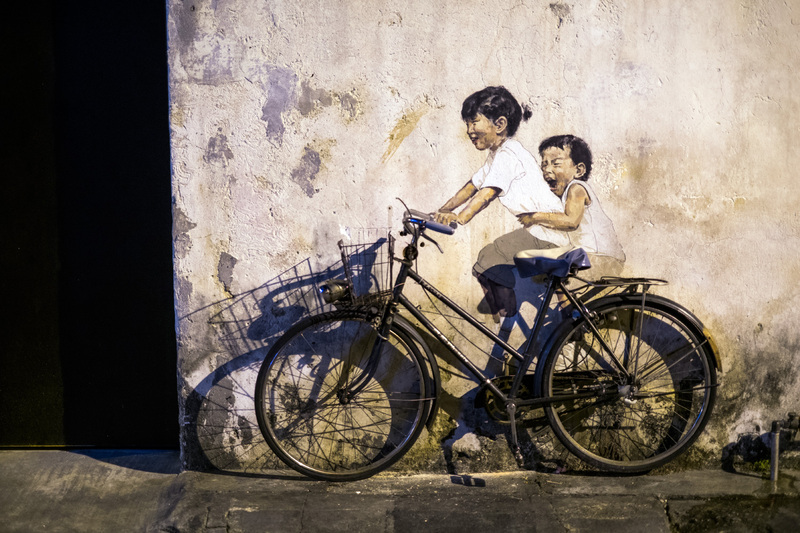 I just returned from five days in Penang, but still feel like I have so much more to explore! Your article makes me want to go back again soon! Such a compact posting about penang. Fall in love with the place already 👌. 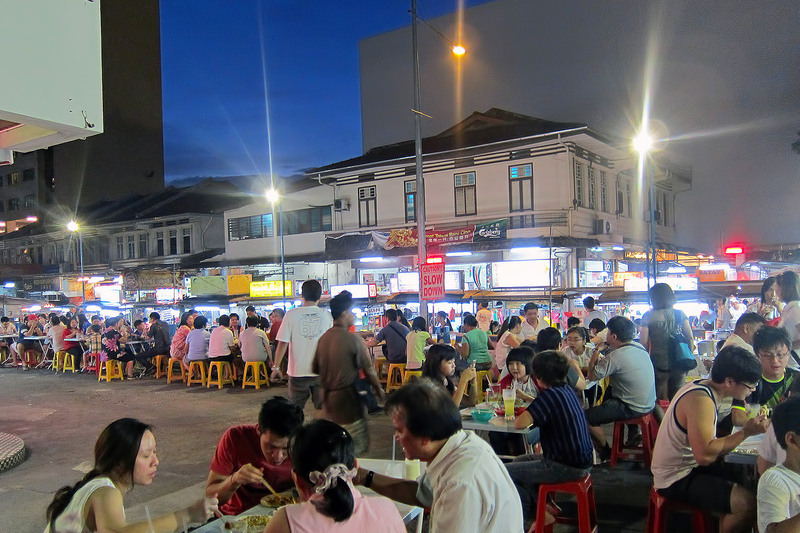 proud of my hometown, and yes this list includes some of the best places to eat in Penang! thanks dear. Wish to really visit Penang again!! Yes, Penang never disappointing anyone.... amazing photo!! And I always love the Penang vibes as much as Malacca.. I will want to plan my visit to there again too! Penang, my hometown. All the foods are so nice. 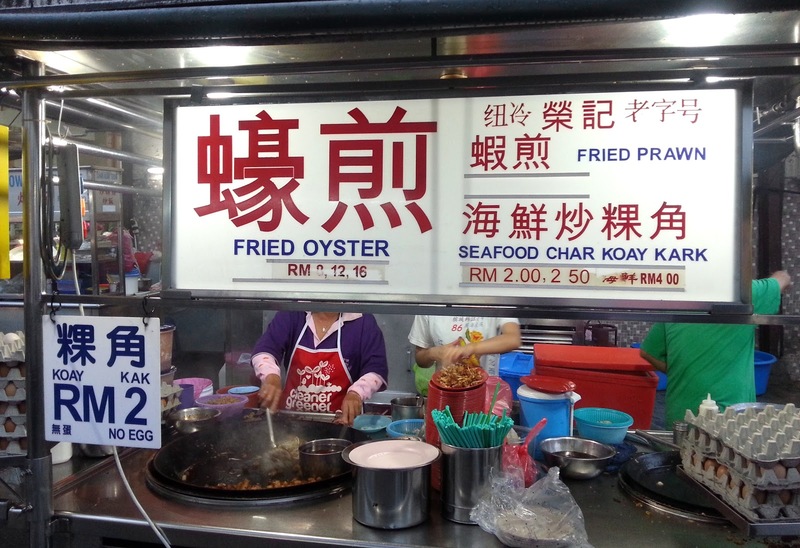 Missing it now, the "Penang sign stall" in KL really can't comparable to. Penang is a good place to hunt for nice food. Some of the places I have not visited yet. Love this post and will bookmark it. Yes I agree =) hope can revisit again! I really miss Penang food. Its my hometown as well and it has been ages since I made a trip back. Need to do one sometime soon.